Russia will deploy new Bastion anti-ship missile complexes in the Arctic in 2015, a senior military official announced earlier this month. 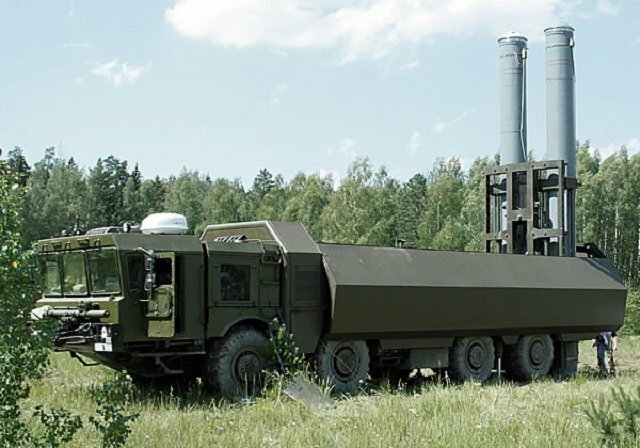 The coastal defense missile system is reportedly designed to destroy various enemy ships, including landing squadrons, convoys, carrier strike groups and single vessels. In addition to the cruise missile deployments, which cannot be considered defensive (there’s simply no threat), Russia plans a fleet of Arctic-capable ships (e.g., destroyers and landing ships with ice-hardened hulls, along with submarines). No other nation has anything like the network of military assets Russia is building up in the Arctic. 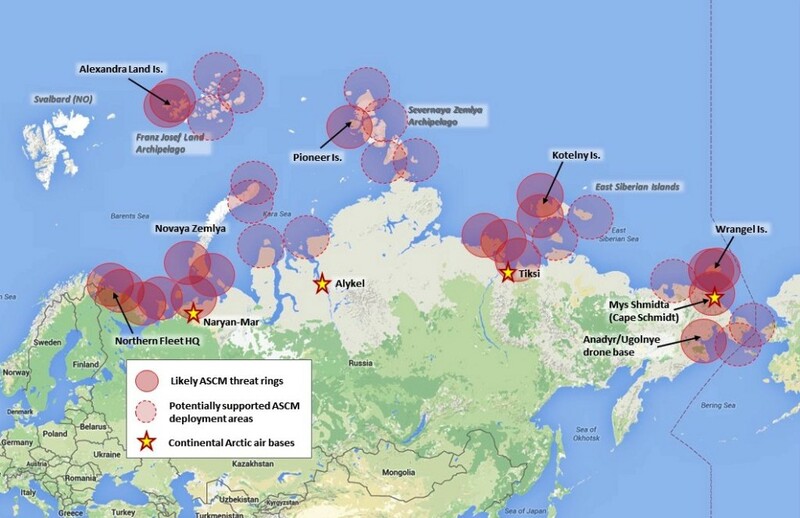 The US Alaskan military facilities on the Arctic coast are radar sites. The Canadian airfield at Inuvik, near Alaska, has no permanently stationed air units, but is used by CF-18 strike-fighters as a forward operating base. It is currently the only Canadian base with potential as a launching spot for offensive operations (and only for air operations). In 2013, a new Arctic training facility opened at the remote village of Resolute, on the southern tip of Cornwallis Island in the Barrow Strait, but it accommodates only 140 personnel, and, as a training base, is also inadequate for supporting offensive operations into the Arctic Ocean. 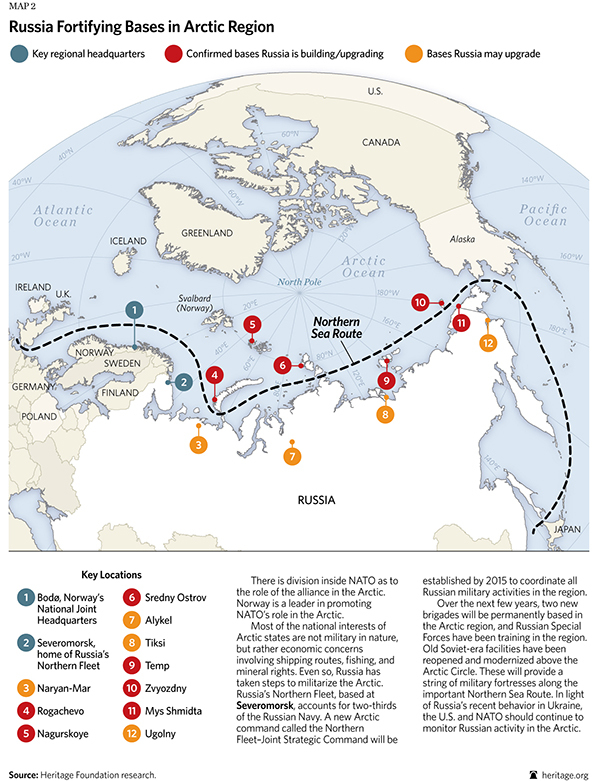 Russia can only put Arctic chokepoints at 100% risk. The rest of the Arctic region is simply too large for saturation coverage by today’s land-based ASCMs.